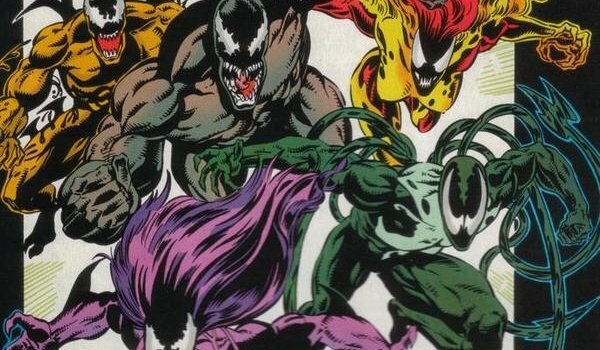 When Sony was planning their Amazing Spider-Man cinematic universe, Venom was intended to be one of the spinoffs to build on. That franchise has since been scrapped in favor of incorporating Spider-Man into the Marvel Cinematic Universe, but Venom is still getting a shot at his own solo adventure. It was announced last Friday that Dante Harper has been hired to pen a Venom movie, with Avi Arad and Matt Tolmach returning to produce. Details are sparse, including whether the original Venom, a.k.a. Eddie Brock, is being featured, or if we'll get Flash Thompson as Agent Venom. The only thing that’s official this Venom movie is being looked at as "apart from and unrelated" to what’s happening with Spider-Man in his new reboot. Not having any direct ties to Spider-Man will be tricky considering how closely Venom is linked to the Web-Slinger. Still, there are plenty of other characters from the Marvel universe who can appear without screwing up their plans, whether it’s an enemy for Venom to battle or another Spider-Man character who can serve as an informal connective thread. Here are the folks who would make great additions to the Venom movie. Venom has committed a lot of bad deeds over the decades, but they don’t hold a candle to what Carnage has done. When Eddie Brock was cellmates with serial killer Cletus Kasady in the comics, the Venom symbiote re-bonded with him and allowed him to break out of prison. 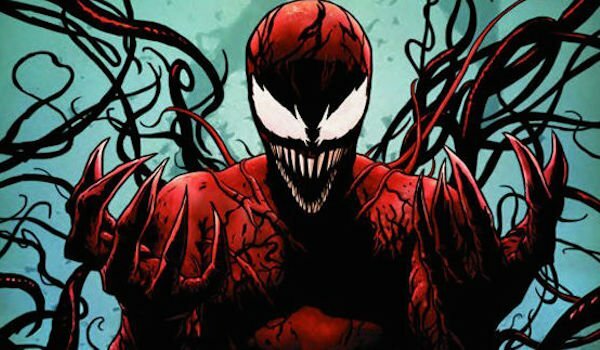 In the process, the symbiote left an offspring, which bonded to Cletus and turned him into Carnage. While Venom has at least has somewhat of a moral center, Carnage has no regard for human life and sees the world as chaotic. Combined with his enhanced abilities, this makes him both one of Spider-Man and Venom’s most dangerous enemies. Many fans have been eager to see a live action Carnage, and if he can’t battle Tom Holland’s Spider-Man, then having him battle Venom (a.k.a. a fight between "parent and child") is a must. Actually, that might just be the better course of action. Symbiote vs. symbiote: a truly epic battle. When Flash Thompson first hit the scene as Agent Venom, his primary enemy was Jack O’Lantern, the fifth super villain to take the identity. Although he was serving the Crime Master, "Jack" developed a personal grudge against Flash when, during their first battle, Flash threw a grenade at Jack that dislocated his jaw. So on top of carrying out Crime Master’s orders, Jack went out of his way to ruin Flash’s life and target those close to him for revenge. If Agent Venom is the Venom that stars in the movie, then Jack O’Lantern has to be the main physical threat. He still needs to be under someone’s employ, whether it’s Crime Master or another shadowy figure, but he can be the main instigator for all the trouble that Flash has to deal with while out in the field. It certainly helps that Jack is one of the few villains that can really get under Flash’s skin. 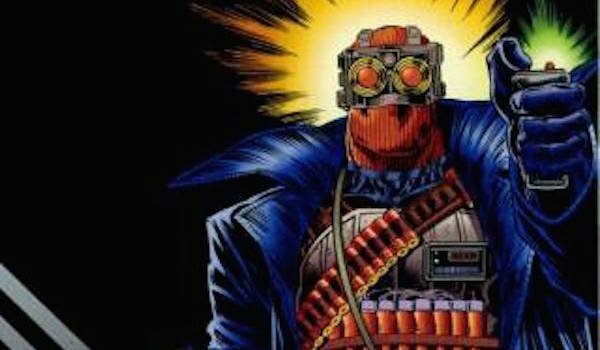 As Spider-Man fans know, Peter Parker has a complicated history with clones thanks to The Jackal, but one good thing that came out of the experiments was Ben Reilly, a.k.a. Scarlet Spider. The tricky thing about incorporating Scarlet Spider into the MCU (assuming Venom is set in that universe) is that Spider-Man is still early into his crimefighting career. So unless some sinister laboratory fast-tracked a clone from a sample of Peter’s DNA and sent him on his way, the filmmakers might need to make adjustments to his background, like making him a separate individual. Some comic book fans might protest to that, but the payoff of having him as a swinging across the big screen might be worth it. 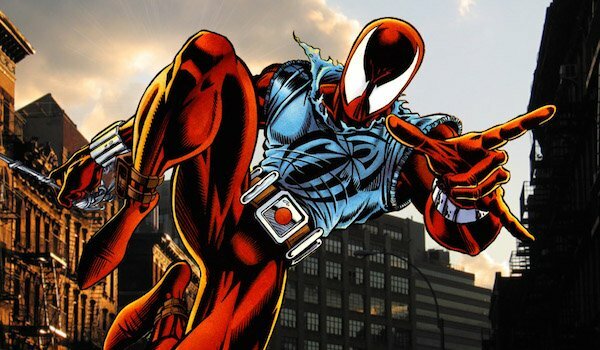 Even though Venom is the movie’s protagonist, that doesn’t mean Scarlet Spider has to be made evil. Consider him more of an obstacle that Venom has to deal with while carrying out a mission/objective. For decades, Mac Gargan has been best known as The Scorpion, one of Spider-Man’s earliest enemies, but there was a time when he served as the second Venom. When Eddie Brock was out of commission, his symbiote offered itself to Gargan to give him new abilities. 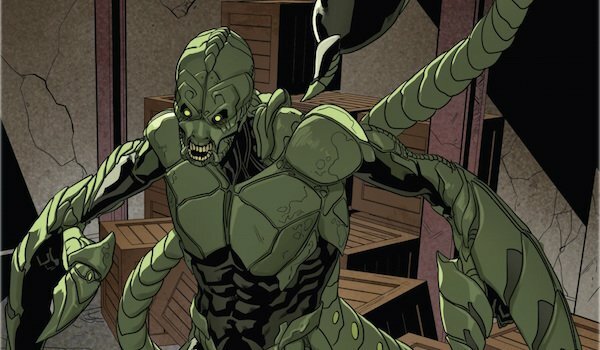 Gargan subsequently served as Venom on Norman Osborn’s Sinister Twelve and Thunderbolts teams, and when he was drafted onto the Dark Avengers, he used the symbiote’s shapeshifting abilities to deceive the public into thinking he was Spider-Man. Following the Siege event, Gargan was separated from the Symbiote and returned to being Scorpion. For the sake of the Venom movie, Gargan should start out as Scorpion, but when he sees what the symbiote is capable of, he wants its power for himself, thus resulting in him either stealing it from Eddie/Flash or bonding with a different one. Although he wasn’t the original Sin-Eater, Michael Engelschwert gave Eddie Brock a lot of trouble during the miniseries Venom: Sinner Takes All. A war veteran, this Sin-Eater emulated a Sin-Eater copycat (the same one who ruined Eddie’s journalism career) who was living at the same homeless shelter as him. While Michael didn’t have any powers, his arsenal and strategic mind gave him an advantage against Venom during their battles, and making matters worse, one of the many people he targeted on his killing spree was Eddie’s ex-wife, Ann. One direction the Venom movie could take is having Eddie be a former super villain who’s now trying to use his abilities for good. His efforts at redemption are complicated when Ann is injured, and while Eddie goes after Sin-Eater, he has to fight to make sure he doesn’t go overboard when trying to stop this terrorist. 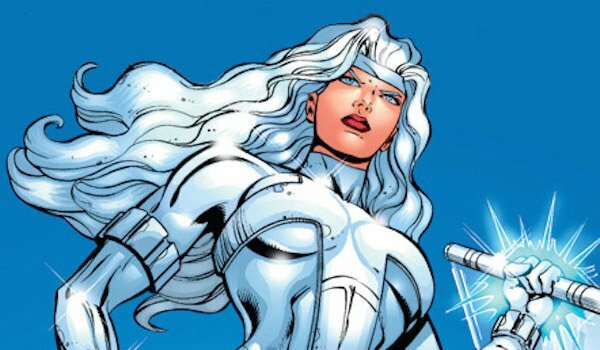 As a mercenary for the country of Symkaria, Silver Sable carries out missions against evildoers around the world rather than just killing any random person for a quick cash grab. She’s also usually one of Spider-Man’s allies, but since the Wall-Crawler can’t appear in the Venom movie, Silver Sable might be the next, non-arachnid alternative for dealing with Venom. Whether it’s Eddie Brock or Flash Thompson as the protagonist, let’s assume that in this movie the public considers Venom to be a threat. So even if Venom is trying to keep the population safe or is on a mission that won’t hurt any civilians, they’ll freak out if they see him in the open and fighting another "bad guy." Throw Silver Sable into the mix by having her hired to neutralize Venom. She’ll spend most of the movie trying to take him out, but by the end, she’ll realize he’s trying to do good (well, something close enough to that) and team up with him against the main antagonist. Back when the Cold War was still going on, the Life Foundation believed the only way it would conclude was by initiating a nuclear holocaust, hence destroying all of civilization. After building a fallout shelter for wealthy clients to survive this event, the organization forcefully created five symbiotes from the Venom and bonded them to people to protect this new "society." Obviously the Cold War is no longer an issue in the present day, but the same idea could work for the Venom movie. The Life Foundation believes that the Earth needs to be "reborn," and to do that, they’ll need to destroy most of it and leave only a select group of survivors around to rebuild. After kidnapping Venom to forcibly get it to spawn, it’s up to Eddie/Flash to not only stop their plan, but defeat the five symbiote offspring that serve the Foundation. The Venom movie may be unconnected to what’s happening with Spider-Man in the MCU, but that doesn’t mean that a character can’t take part in both stories. Every Spider-Man fan knows J. Jonah Jameson as the loud-mouthed, obnoxious editor-in-chief of the Daily Bugle who crazily decries Spider-Man at the top of every hour, or at least that’s how it seems. 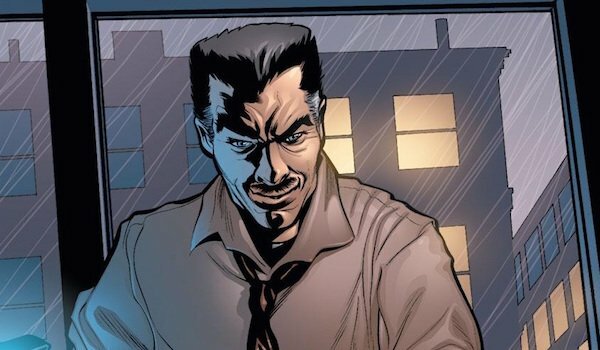 In some stories outside the comics (like Spider-Man 3), Jameson was also Eddie Brock’s boss for a brief period of time at the newspaper, and is typically the one who fires him. Whether it’s Eddie or Flash as Venom in the movie, having Jameson appear will not only help ease the minds of some Spider-Man fans, but also provide some much needed humor. He can redirect his attention from the Web-Slinger and focus The Daily Bugle’s efforts on exposing what Venom is up to…well, what Jameson thinks he’s up to, anyway.